For as long as the tribes of the farrow have gone to war, they have been accompanied by the vicious razor boars. As large as wolves, razor boars are deadly, untamed creatures that require little incentive or training to join the farrow in battle. When loosed upon an enemy, razor boars charge in heedless of their own well-being, intent only on goring their prey and bringing them low to feast upon their soft flesh. Survivors of farrow raids grow pale when they recall the speed with which a few razor boars reduced a well-armed soldier to a heap of rags and bloody bones. Ravenous and brutal, warpborn alphas are fearsome combatants that lay low enemies and feast upon them even as they die screaming. Warpborn led by an alpha become filled with similar bloodlust, speed, and ferocity, able to tear through enemies with unhesitating enthusiasm. They attack in a blurred frenzy, seeking victory but prepared for death amid the blood and viscera of those who stand against them. He’s filth. That is all. You are a captive of Subterra Bravo, imprisoned in the facility’s deepest laboratory, the hall of nightmares known as LEVEL 7. Your singular goal is to escape, but to do that you will have to evade the human and inhuman denizens of this subterranean labyrinth before the entire base is locked down, sealing you in for the rest of your short, tormented life. Will you work together with your fellow prisoners to endure Subterra Bravo’s endless perils, or will you use them to secure your own escape? Ultimately, your chances of survival will depend on how well you manage your greatest weapon, which is also your greatest threat: fear itself. LEVEL 7 [ESCAPE] is a semi-cooperative, story-driven survival-horror board game for 1–4 players with nerves of steel and a willingness to confront the impossible. All of a sudden, this happened! We all knew it was coming. I was expecting Trolls in it though. Not sure why. And there you go, all up to date and lovely! "Get out of my swamp, you kids"
"This is my hammer. There are many others like it... Like this other one"
"This is my BOOM (shakey shakey) stick!" So there you have it comrades. New tools for Voodoo witches, Hippies and capitalist pigs! 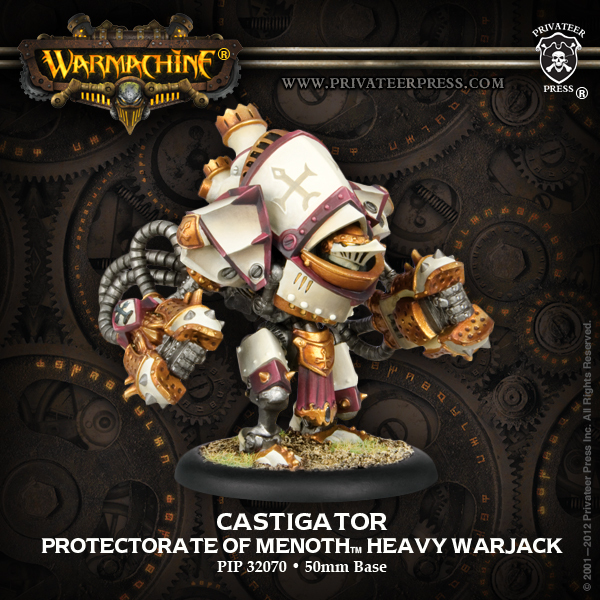 Privateer Press, Best ‘Jack Evar!1! 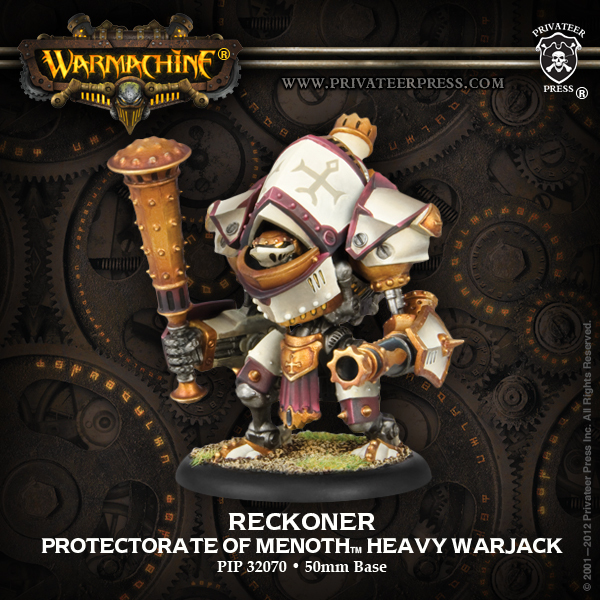 I’m not usually one for nostalgia, but now I have seen my favorite Warjack in Warmachine has had its plastic incarnation revealed. I like it and its related to the most under-costed jack in the game as well! BEHOLD! Mmmm, delicious nostalgia. Menoth was my first faction. 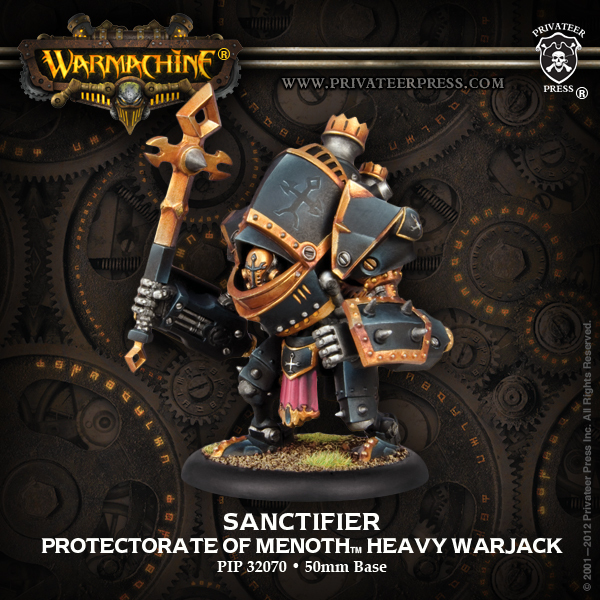 The Sanctifier looks really great as well. And thats it for now. The releases seem to be coming thick and fast so we’ll see what else happens this week! Then we have the last of the mulit-part plastic heavy warbeast kits, Titans! As a slight difference to the other heavy kits these all look really nice. I cannot tell for sure but I think the Sentry is the same as the metal kit, otherwise I don’t think the remaining ones look better or worse, whereas the others seem to have one better, one the same and one worse. Privateer may be moving into another mad releases schedule which keep us all busy and hurts the wallets like hell! 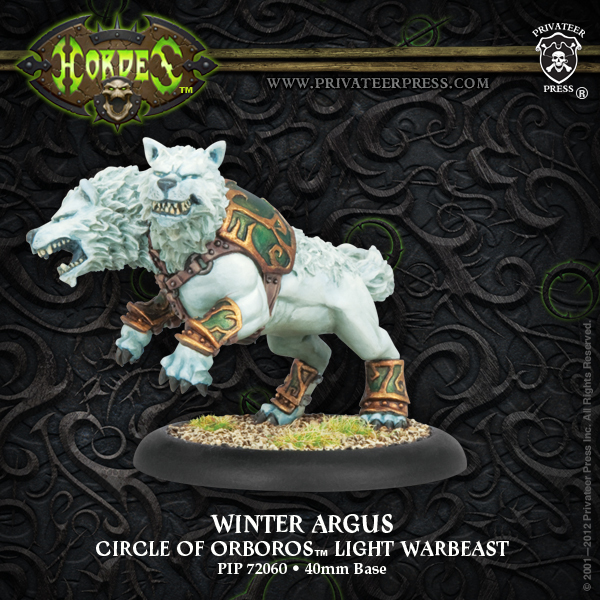 Some supremely great models revealed this week by Privateer Press for both Warmachine and Hordes. First we have the long awaited (Though they are no Bombadiers) House Vyre Warjacks which I will be needing a bunch of and no mistake!